The dentists at La Jolla Dental Group in La Jolla, California, offer teeth-whitening procedures and advice on how to lighten your teeth and remove both the stains and discoloration causing you concern. Call or make an appointment online today with Mehrack Kajian-Faraji, DDS, and the expert team to improve the look of your teeth through the use of one or more of the various teeth-whitening options available. 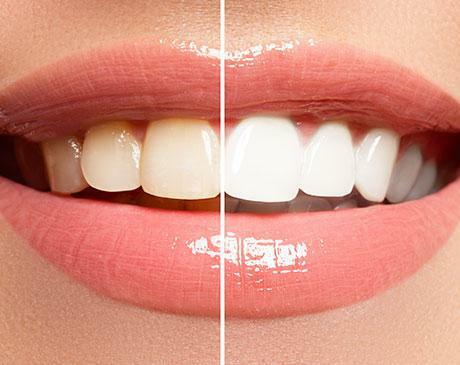 What are the different categories of teeth-whitening products? The dentists at La Jolla Dental Group offer a teeth-whitening process that begins with a thorough cleaning. Once your dentist completes your cleaning, they cover your lips and gums before applying a special gel to your teeth. A teeth-whitening visit generally lasts about an hour and a half. Results appear immediately. Your dentist at La Jolla Dental Group also offers products that you use in the privacy and comfort of your own home. Your dentist gives you several bleach-filled custom-fitted whitening trays along with instructions for use. When you follow the instructions correctly, your teeth become noticeably whiter within 3 to 14 days of first use. 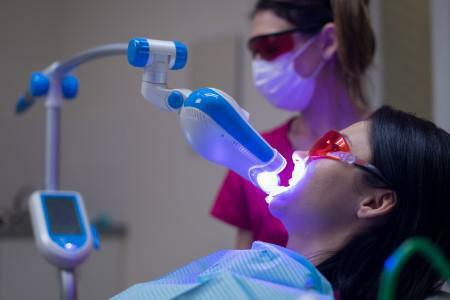 While less expensive and more readily available than those offered through La Jolla Dental Group, over-the-counter teeth-whitening products tend to be less effective and take longer to work. Whatever kind of whitening product you choose to use, it’s essential to follow the directions and inform your dentist at La Jolla Dental Group of any issues. The color of your teeth is created through a combination of the reflection and scattering of light off the outer layer, or enamel, along with the color of the dentin underneath it. Genes determine both the thickness and smoothness of your enamel. The thinner your enamel, more dentin color shows through. Your enamel’s texture affects how light gets reflected, thereby affecting the appearance of your teeth. Teeth whitening doesn’t correct discoloration due to exposure to too much fluoride as a child, certain antibiotics, and tooth trauma. How do teeth-whitening products work? The main ingredient of most teeth-whitening products is either hydrogen peroxide or carbamide peroxide. These bleaching agents break the stains on your teeth into smaller pieces. As a result, the stain becomes less concentrated, and your teeth look brighter. To improve your self-confidence with a brighter, whiter smile, call or make an appointment online today with one of the dentists at La Jolla Dental Group in La Jolla, California.